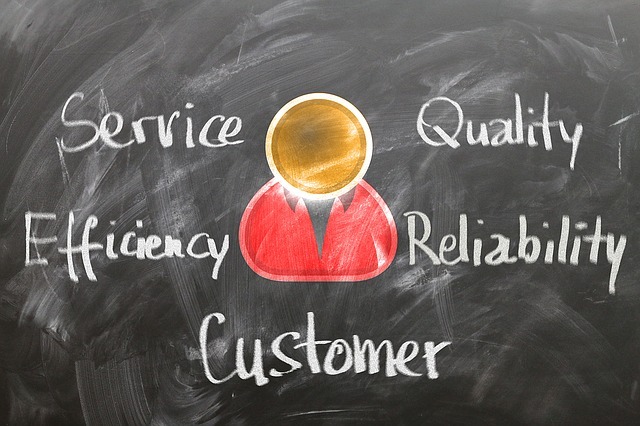 Customer service has been changing quite dramatically in recent times, so if you want to be able to succeed in your chosen field you are going to have to look into the various new trends that are emerging so that you can implement them in your own customer service provision. Here are some trends that you should note. People just don’t want to make calls anymore, and they use social media all the time anyway. Hence, it was only a matter of time before customer support over social media became a regular feature within the industry, thereby making it an important part of any customer service strategy. It is important to get a presence on as many different aspects of customer service as you possibly can. Twitter, Facebook, even Snapchat can be a good place to get in touch with the younger crowd that you need to satisfy in order to make your business viable in the long term. Another trend that has emerged especially in the last few years is that of mobile usage. People use mobile phones a lot more than they used to thanks to the highly advanced technology that is prevalent. Hence, you should focus as much as you can on optimizing your customer service to make it in line with the kind of mobile usage that people take part in on a day to day basis. You should try going for a live chat software such as the one from Kayako. Another thing that you will definitely have to do is creating specific customer service applications for mobile customer support. One trend that a lot of customer service representatives are going to be very happy about is the fact that customers are becoming a lot more self sufficient. Now, having to call someone is going to be considered a hassle, so most of your customers are going to want to be able to make the most of the information that is already present online. The great thing about this is that they are less likely to cost you money by using up CSR time, so you should look into creating FAQs and the like to compensate for this. There was a time not all that long ago where everyone had to put a tie on and come in to the office so that they start getting the work that has been assigned to them on a particular way done in the most efficient way possible. Now, however, things are a great deal more relaxed than they used to be. Your CSRs can work from home now thanks to the technology that is now readily available for pretty much every single person out there to use as much as they would like. While customers are becoming more self reliant, this does not at all mean that you would be able to relax. This is because of the fact that they have also become extremely demanding, so much so that when they need customer support anything other than instant gratification is going to make them feel like they are not being taken seriously, something that is going to turn them against you quite quickly thereby making it extremely important that you look into maximizing the efficiency of your customer support staff and allow them to handle complaints and queries as quickly as possible. One of the more unique ways in which you can provide customer support is to stream it live. This would allow as many customers as possible to see what you are offering, thereby allowing you to make the most of the support that you are currently providing without having to invest more money into it. You can also look into giving your customers video calls over which your CSRs would explain to them the various things that they need to do in order to make the most of the time they are giving to this particular task. A lot of people seem to think that the human touch that customer service offers is the most important thing that anyone can look into. However, the fact of the matter is that when you are trying to figure out the various ways in which customer service is changing, one thing that you are going to notice without a doubt is that artificial intelligence is better than human intelligence at providing instant gratification. As a result of this fact, consumers tend to prefer AI now at least when it comes to the more minor problems that they might be facing.